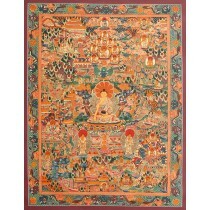 Thangka is a Buddhist religion painting literally painted on cotton or silk. 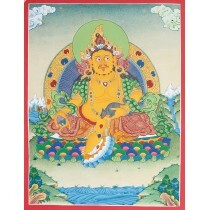 Thangka is an art of representing and visualizing of deities. 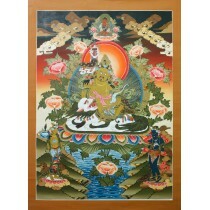 On, this thangka the elegant Green Tara god in painted by an experienced artist which in this field from generations. 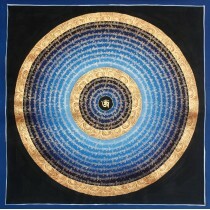 Artist have used poster color with gold on canvas. 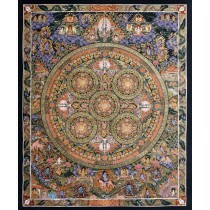 Thangka measures 30.5" of width and 39.5" of height.The thangka is beautiful to hang on the walls of home, offices and other. 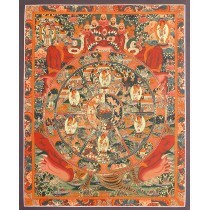 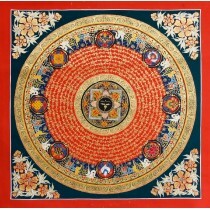 Thangkas are especially used for mediation. 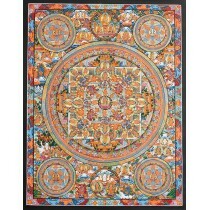 But, nowadays thangkas are also used for decoration and worshiping too.Artist has painted this thangka beautifully. 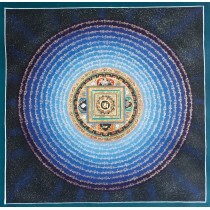 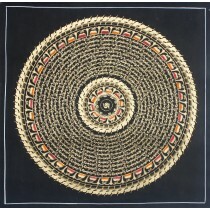 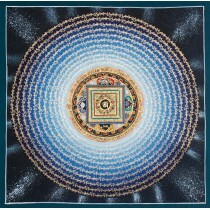 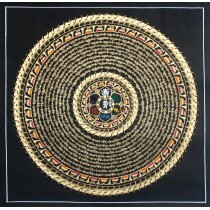 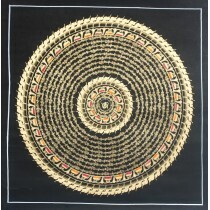 A thangka is a painting on cotton or silk, usually pictures of Buddhist deity, nature and mandala. 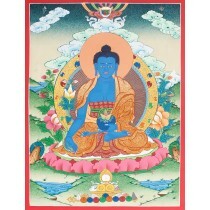 The popularity of the thangka is getting higher because of Buddha teachings as well Tibetan and Nepalese devotion for art itself. 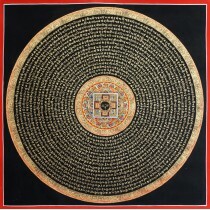 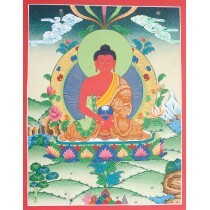 Generally, thangkas last for a very long time and retain much of their lusture, but because of their delicate nature. 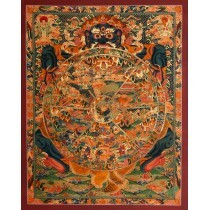 Thangkas have developed in the northern Himalayan regions among the lama's. 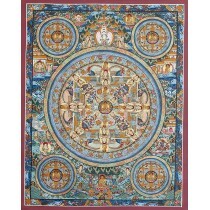 History of thangka began in the 11th century when Buddhist and Hindus began to make illustration of their deities. 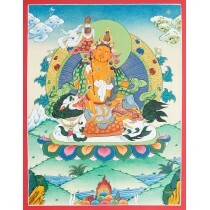 Tara is a female deity of the Buddhist pantheon. 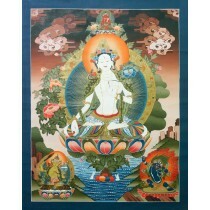 White tara was born from the tear of the Boddhisatwa of compassion, Avalokiteswora. 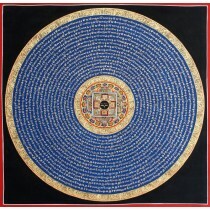 She holds a very prominent position in Nepal and Tibet. 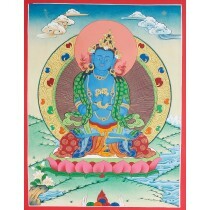 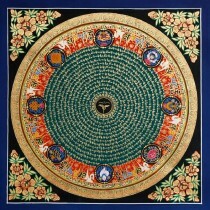 Tara is believed to protect the human beings while they are crossing the ocean of existence. Among the two forms of Tara, White Tara is regarded as consort of Avalokiteswara, some times of Vairochana. 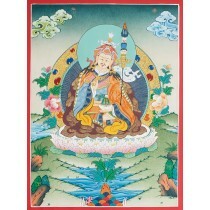 She is portrayed usually seated, dressed and crowned like the Boddhisatwas. 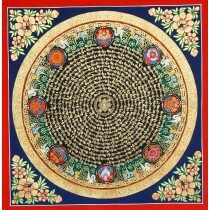 And sometime she is regarded as Saptalochana or seven eyes Tara. 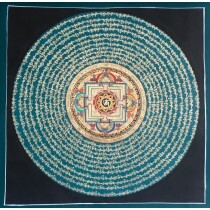 Extra eyes on her forehead, palm, and feet and lotus flower at one or both of her shoulder. 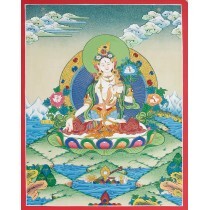 She is seated in full Vajra posture. 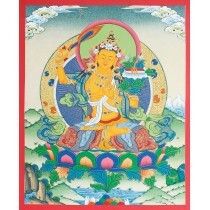 Her right hand will be in boon confering posture, her left hand in teaching gesture holding the stem of the lotus. 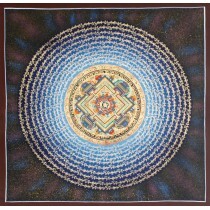 She is wearing all sorts of precious ornaments and looks beautiful. 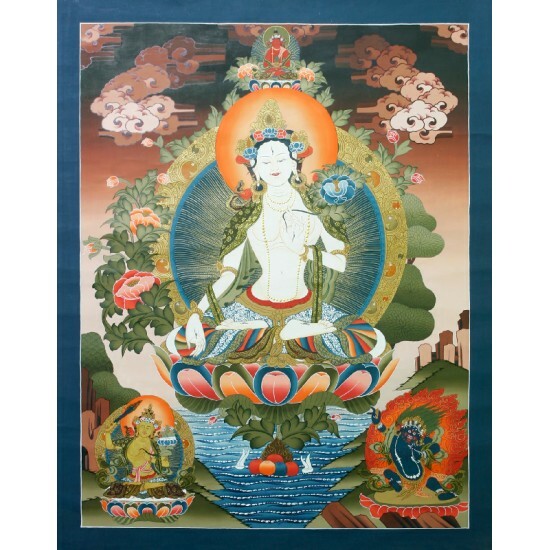 The practice of White Tara is basically performed into the prolong life as well as for healing purpose.